There can be all sorts of different things that may happen that could lead to some kind of ankle injury. Whenever you find yourself dealing with pain and swelling in your ankle after an accident, strain during some athletic activities or even twisting your ankle, you need to think about making your way to see a professional to find out what damage may have been done. The professional staff at Mill Creek Foot and Ankle Clinic is always available to talk with you about proper broken ankle treatment and surgery in Woodinville to get you back on your feet again. There are several bones within the ankle that could be damaged when you injure this area. 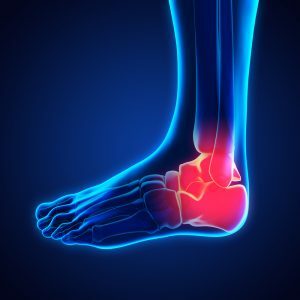 If you happen to have pulled the ligaments in your foot and ankle as well, the chances are going to be very good that you will also have a great deal of pain. For some people who have a major break in the ankle bones and pulled ligaments, it may be near impossible to walk on the affected foot. When you meet with the team at Mill Creek Foot and Ankle Clinic, we will be able to get you right in for an appointment where we will go through your medical history and the actions that caused the injury. From there, we will continue the examination to include a series of tests that will give us the right images to determine exactly what bones and how many are broken in your ankle. Call Mill Creek Foot and Ankle Clinic at (425)482-6663 for broken ankle treatment and surgery in Woodinville to learn about recovery and healing time.